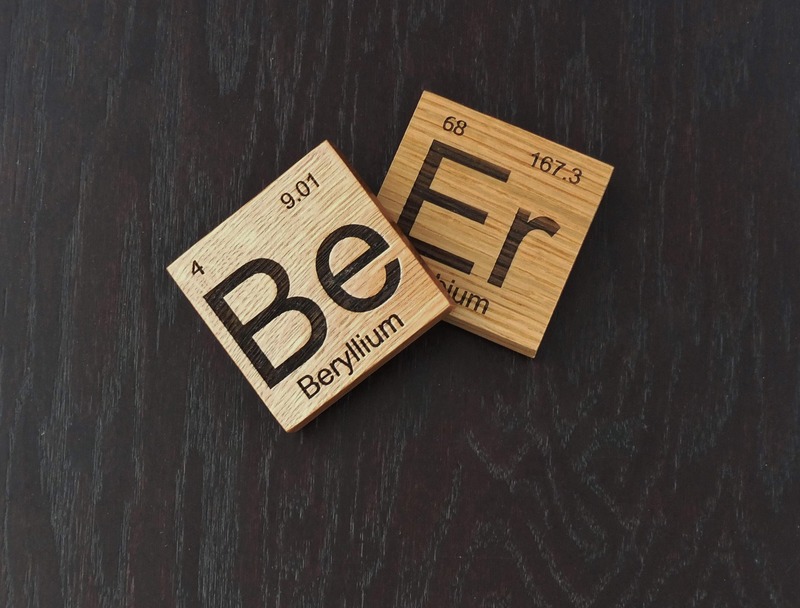 Periodic table inspired beer coasters for that home brewer, beer lover, or scientist. 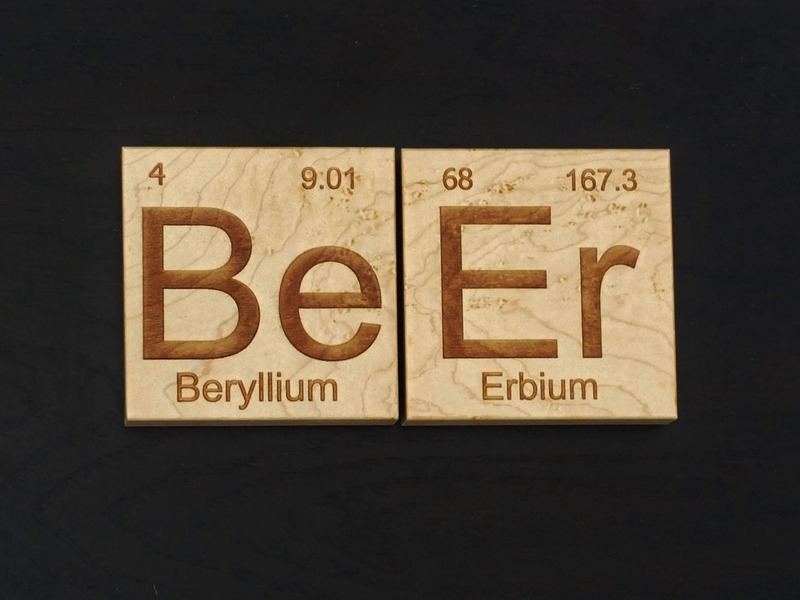 Great item for the home bar! 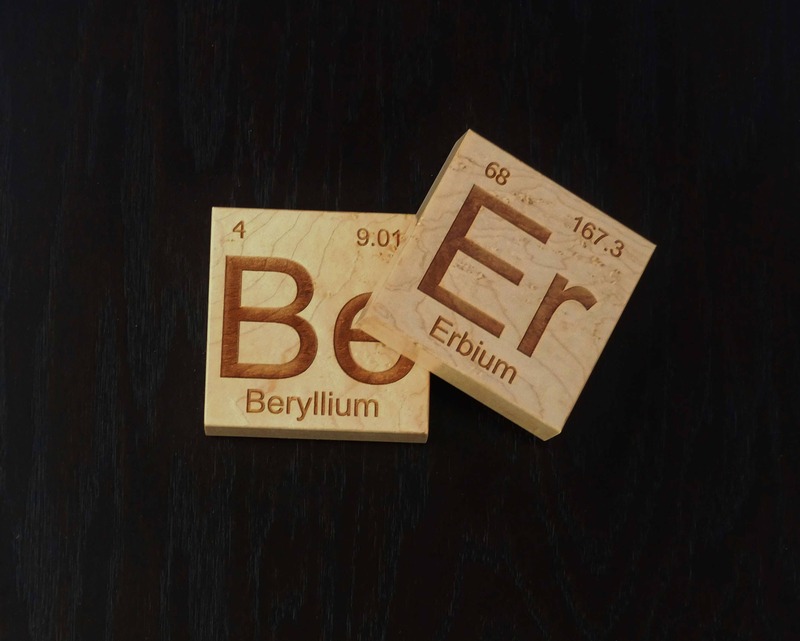 These also make a great housewarming gift or groomsman gift. 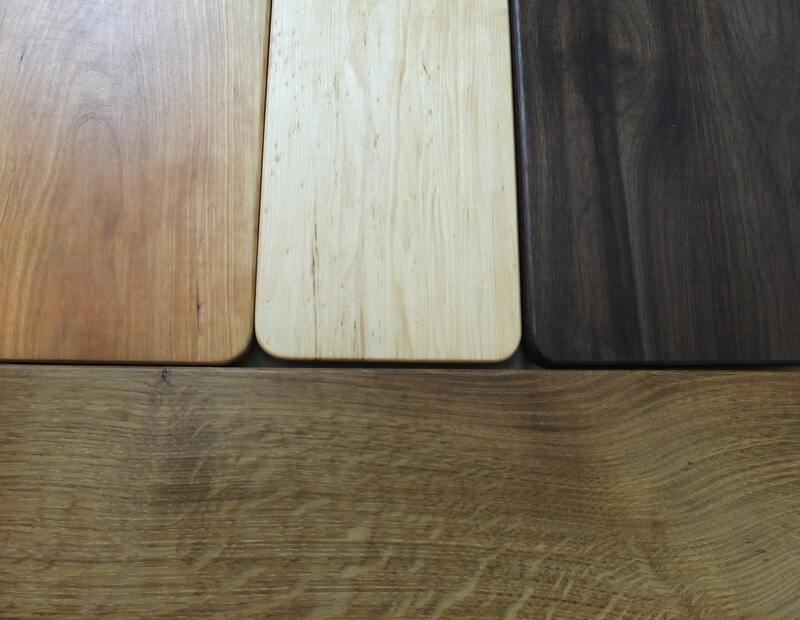 Laser engraved on solid wood, finished with conversion varnish and backed with cork to protect your furniture.